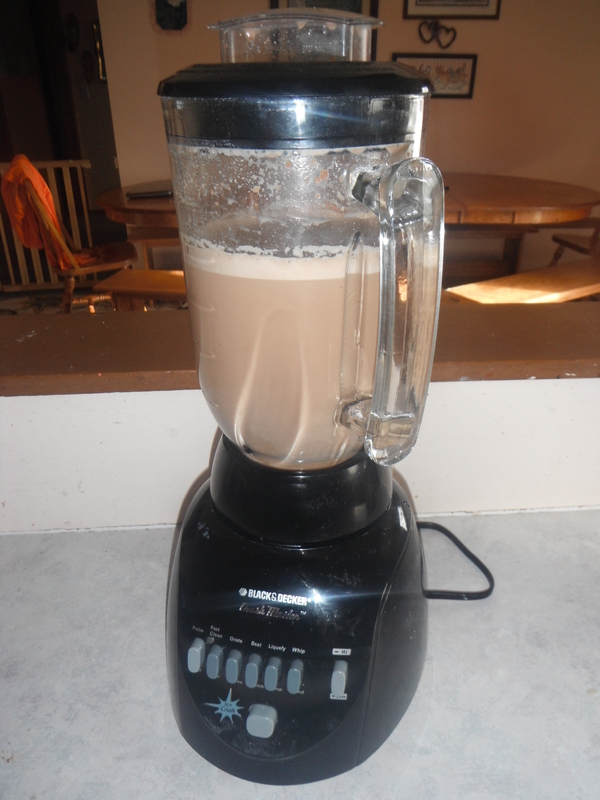 The blender– my new best friend!! Those of you who know me probably know that as a child formula was one of the biggest challenges I faced in regards to PKU. It wasn’t that I didn’t like the taste of my formula, because I did. I didn’t like taking time out of my day to make and drink my formula. Today, I drink 6 scoops (240 grams) of Phenylade Essentials everyday. This is the formula I began drinking when I was eight or nine years old. Since then I have sampled more formulas than I can count (or would ever care to), but I have always come back the Phenylade in the end. With class five days a week, dance practice, two jobs, and babysitting getting 240 grams of formula, which makes approximately 45-50 ounces, in can prove to be a little difficult at times. I am not a morning person either, which adds to the problem, because often times I find myself running late in the morning and that first serving of formula gets put off until later in the day. However! I think I may have found a solution to this problem, and I am not sure why I didn’t think of this sooner! Recently I’ve decided making formula three or four times a day was becoming too much of a pain. It was definitely doable, but it was still a pain. So, I’ve started making all of my formula for the day all at once in a blender. I have been tossing six or seven scoops of Phenylade in with approximately 40 ounces of water, mixing it up, pouring a glass for the morning, and then shoving the rest in the fridge for the rest of the day. It works wonderfully with saving me time and ensuring I drink all of my formula. There’s just something about knowing that pitcher is waiting in the fridge for you that motivates you to drink all of it. After all I hate throwing formula down the drain! Anyway, that’s my random excitement for the day. I have a clinic appointment tomorrow, so I will probably give an update on that, although I am not sure if it will be a good one. Wish me luck!! I’m thinking about buying a blender too… I picked one who is also capable of crushing ice cubes, and I was more thinking of preparing smoothies with it, but now that I am seeing your posting… Formula is a great idea… about the storing-formula-mixed-in-the-fridge-thing… 😉 Does the formula stay fresh and drinkable? If I don’t wash my shaker right after mixing then the remaining formula gets brown and smells AWFUL. Just wondering if the fridge could compensate this effect completely because the idea is GREAT 🙂 Are you still practising it? I stopped using a blender for my formula while back. When I was using it though the formula didn’t stay completely fresh, but was still very drinkable and saved me time.